We at the 417 Bike Park have just the solution for you. 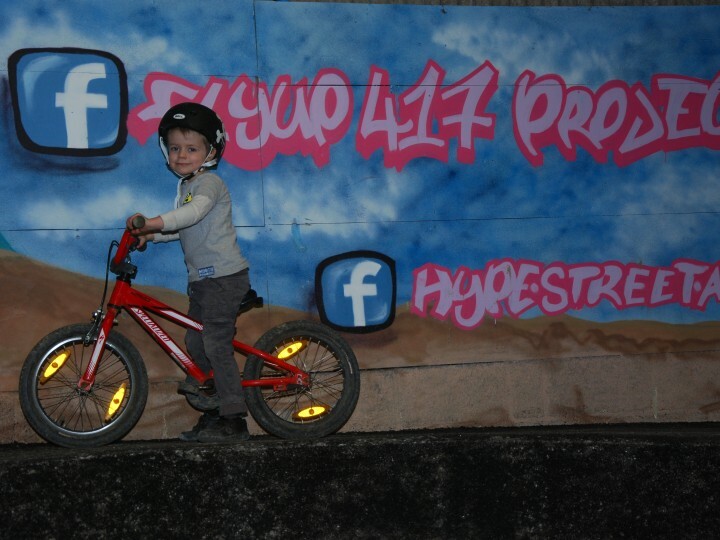 Our experienced coaches will help develop your child’s technique, stamina and skills, using trails appropriate to your child’s ability and on the UK’s first indoor Velosolutions bike track. We will help your child to put together a personal development plan for the day/week and there will be daily review sessions to help them reach their goals. Arts and Crafts / Messy Time. During instructed sessions in the Pump Track, Skills area and and on the Trails, coaches will be tutoring and staff will be accompanying the sessions. In non-instructed time, staff will be supervising your child and organising activities. Should there be something specific your child would like to learn, then just let one of our helpful staff or Coaches know. All our staff are qualified and experienced coaches with a great enthusiasm for the activities. They are experienced in teaching at all levels and most importantly, they have lots of experience helping people choose the level of adventure right for them. Small groups allow us to give you individual attention. Drop off 8:45am to 9:15am. Lunch/snacks are not provided. Please provide a packed lunch or money to purchase food from the onsite Café. Bike with hand brakes, no coaster brakes allowed for the trails. BMX or similar maybe used for the Pump track. Disc brakes recommended. Bike should be suitable to go on the trails – good working order. If you are unsure about any of the above requirements, please do call us for advise, we are happy to help. Groups for beginner to advanced riders (please note depending on numbers beginner riders aged 8-12 may be placed in a younger age group). Have ridden comfortably on easy single track, family trails etc. Trail Pass Included in price of program. Pump Track Pass included in price of program. Meet from 8.45 to 9.15am, groups will leave to ride at 9.30am.- please be on time and ready to go. 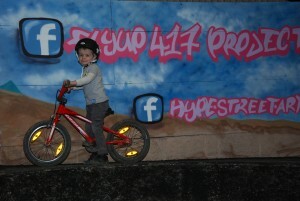 Riding either on the trails, Skills area or in the Velosolutions pump track. 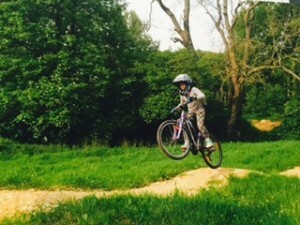 Beginner and Novice groups will mostly be riding the pump track and skills areas building up to riding on the trails, your child’s coach will let you know when their group is ready. Intermediate and up groups will ride trails suited to their abilities, Pump track and skills area. Lunch will be at approximately 12pm. Messy time / Bike Maintenance 1pm. Back out on the Bikes 3pm. 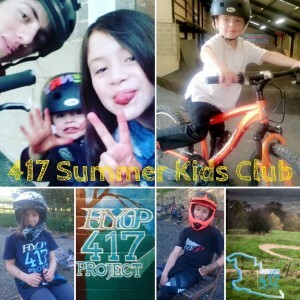 Pick up is at 4.30pm at The 417 Kids Club and each child must be signed out by a parent. If your child will be picked up by someone else, please inform the coach or Staff in the morning. If you would like your child to sign out by themselves, please ask your child’s coach for a sign out permission form. We will be riding in all weather, so please make sure your child is prepared with rain gear and sunscreen!